Today has been one of those days that sets emotions all over the scale, quickly! It was a morning that brought a much anticipated package and before it was over, two phone calls with sad news. The good news is the mail lady brought my Stamp Platform! Once opened I was overjoyed to see it and touch it and know it is everything I had hoped for. I must tell you how happy I am with Oozak.com, the on-line store through whom I placed my order way back before production was interrupted. It is really amazing that I got mine this early in July, and I’m thankful too. 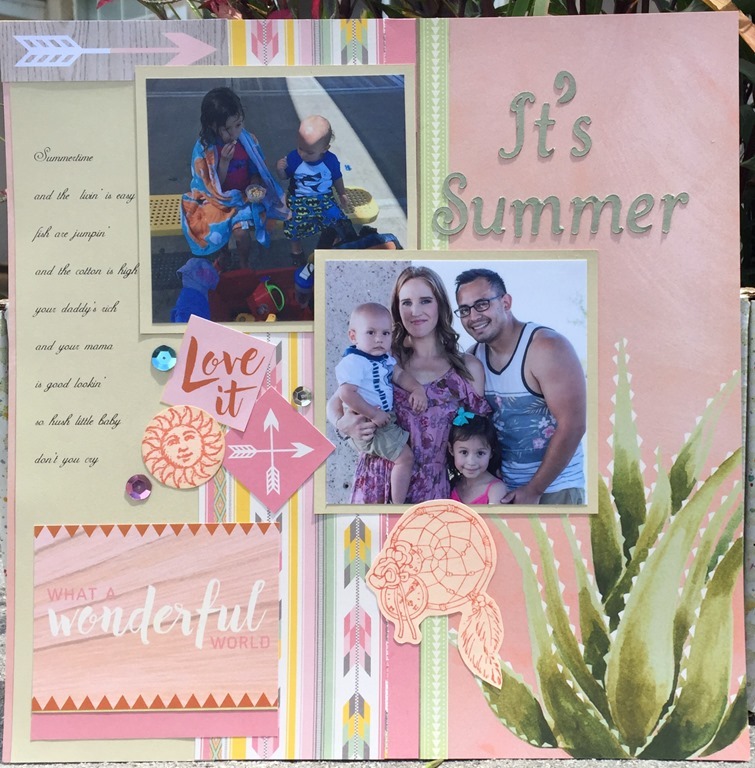 I had a scrapbook page on my table nearly done, so needed to finish it up before I can pull anything else out to play stamping on. I am looking forward to stamping directly on my 12 x 12 layouts now that I can place them perfectly without the horror of miss-stamping something. I’ve pretty much only stamped background images that do not matter if they come out poorly, other images I stamp on another piece of card stock and cut it out before pasting to the page. Here is the just finished layout. The papers are from a pack I recently picked up at Michaels for $7. It’s all about Arizona, to me, for which I have a big reason to scrap such photos. My challenge was to use a summer song. I chose this old song. According to Wikipedia “Summertime” is an aria composed in 1934 by George Gershwin for the 1935 opera Porgy and Bess. The lyrics are by DuBose Heyward, the author of the novel Porgy on which the opera was based. I did not know this! Definitely before my time for real. For this layout I let the paper do all the work, I just cut and placed. The title letters were cut with Cricut cartridge, the “sun” stamp is from a set by Stampin’ Up!, the “dream catcher” is from a set by Fun Stampers Journey. For the sad news number one, while waiting for daughter’s friend to come pick her up for their road trip she got a call from this friend that she had hurt her ankle. We went over to her house to assess her situation. With a wrapped ankle she insists on going to this event the girls have been looking forward to all year. She may be seeking medical attention by the sound of it. She missed the last step of her front stairs and actually heard a pop. Oh my – that can’t be good. After a couple errands I headed home. I got a phone call from the Prayer Chain lady requesting prayers for the son of a couple we all know. Brian took an overdose of his medication and is on a respirator. Very scary. I promised to pray as soon as I got home. At my sacred spot, I am now calling this location my sacred spot for prayer and meditation. It is where I can feel focused and concentrate on praying. I felt I must read something from my Bible. I opened it up to Psalms. I used to sit by Joey’s bed and read to him, especially from Psalms, when he was dying at Hospice, and I sometimes do just that when I need comfort in my grief for him. So, what I turned to I want to share with you now. Hear my words, O Lord; listen to my sighing. Hear my cry for help, my king, my God! at dawn I will plead before you and wait. This seemed right, as if the Holy Spirit led me here. I shared here, not because I believe God will read blog posts on the Internet, but, in the hopes you will join me in this prayer to God for Brian’s well being and that of his family. Also, why not pray for your loved ones too. What got me started was all the fun I’ve been having with paper piecing Julie Nutting’s Prima dolls. That started the night of my birthday over at a friend’s house, Kristy led several of us in a class on the how-to with these stamps. I have made several now. 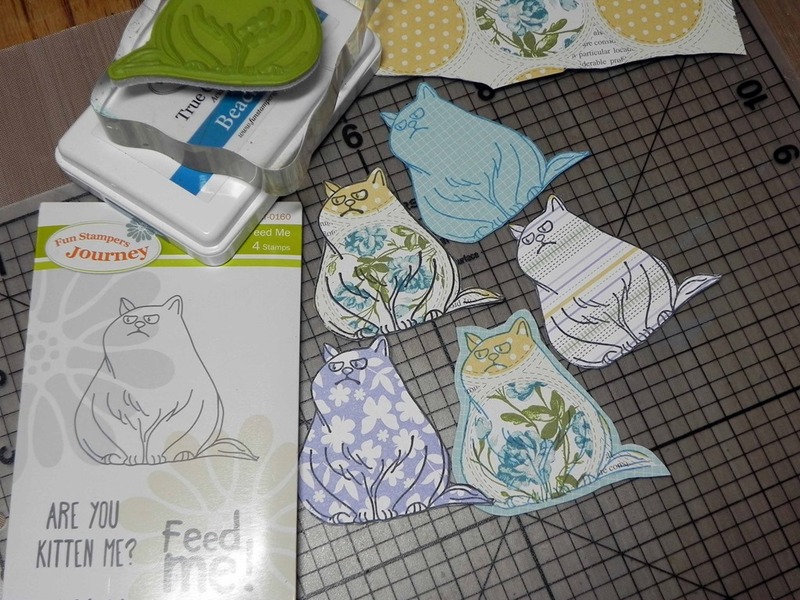 Then I spotted a card on FB made with this cat stamp and I had to run to my DSP scraps and start making up some of my own. 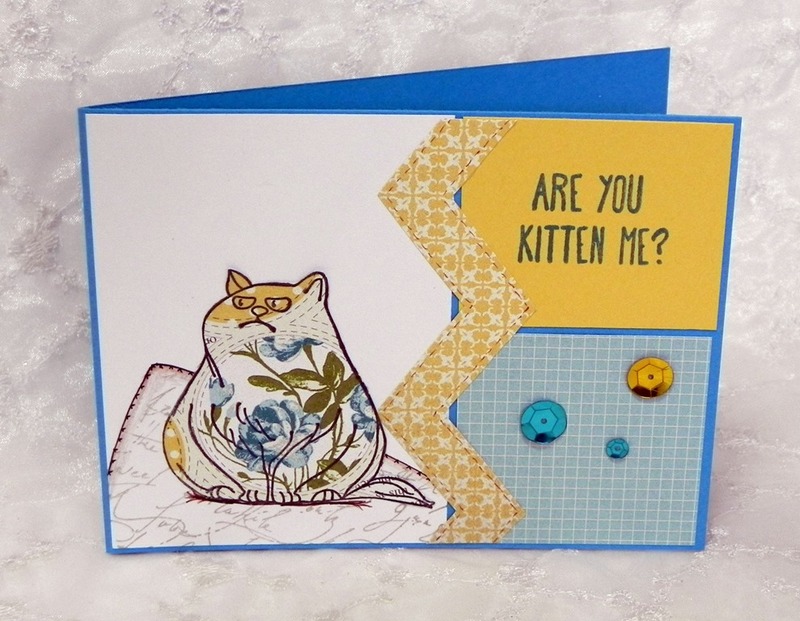 Here is an actual card I made today with one of these – too adorable for words, right! 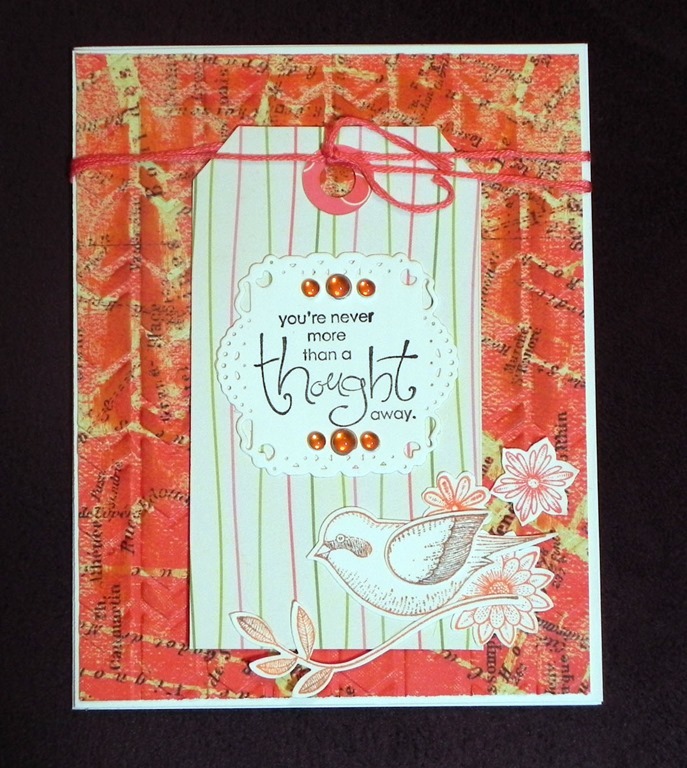 The design is inspired by the Splitcoaststampers sketch challenge today. Even though I was first going for a more solid image when stamping on the patterned paper I made a discovery. See the blue checked paper bottom right? The first cat I stamped was on that paper. Flipped it over and I saw the idea of the cat stamped on the other side. So I did. Did you notice the cushion? I hand drew it in, masked it off, and used the Scrip stamp (SS-0069) to add a pattern. The edge is created with pen and brown pencil. I also penned the stitching on the zig-zag- strip. If interested in any of the Fun Stampers Journey products, I’d love for you to order it with my daughter, Kristina. Just get in touch with her using email : kldeyette@yahoo.com, she isn’t doing the paid website any longer but still orders for us. Experimenting with the layering of the same shot in different size prints I wanted to see what I could come up with. I kept this layout clean and simple so the emphases is on the story of this sweet puppy as told by her “mommy”. 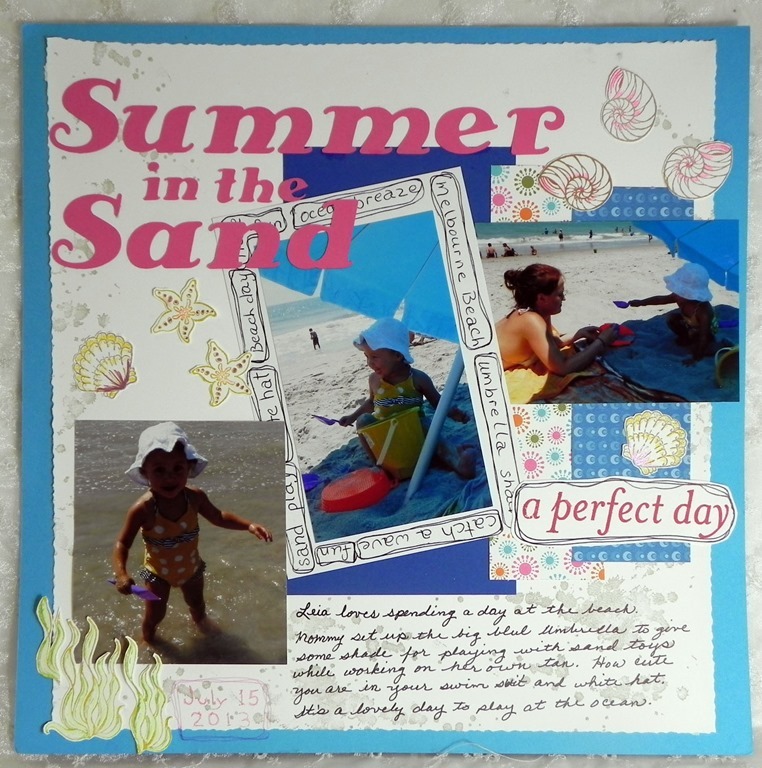 The papers are by K & Co, Stampin’ Up!, and Fun Stampers Journey. The name is stamped using a Fun Stampers Journey set called Artphabet on pink and cut out. 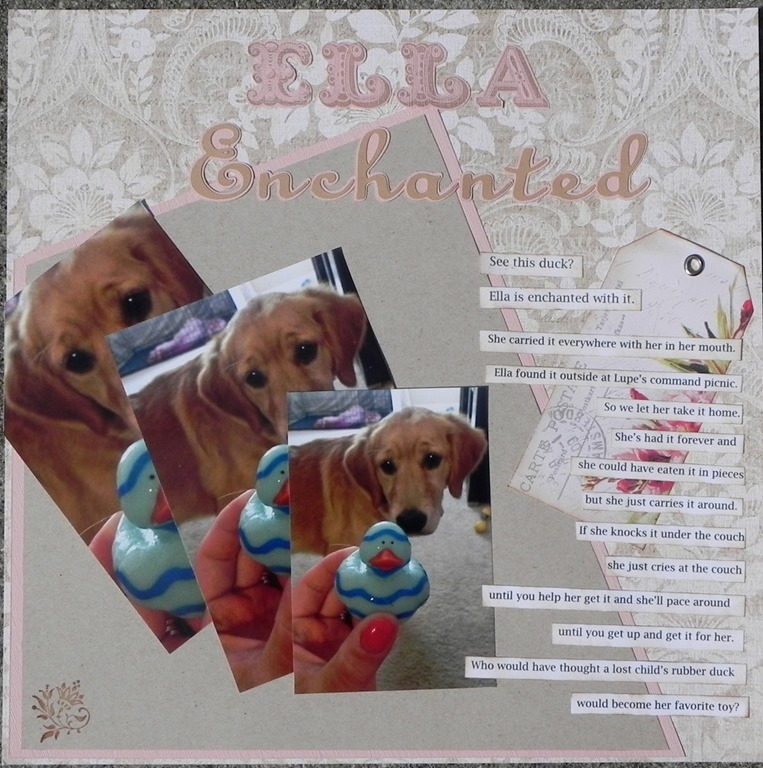 “Enchanted” is cut with a Cricut Cartridge, Ashlyn’s Alphabet. The journaling is computer generated. Thanks for stopping by, have a day filled with happy thoughts! I’ve neglected to post on a frequent basis again. A while back I vowed to post a few times a week. 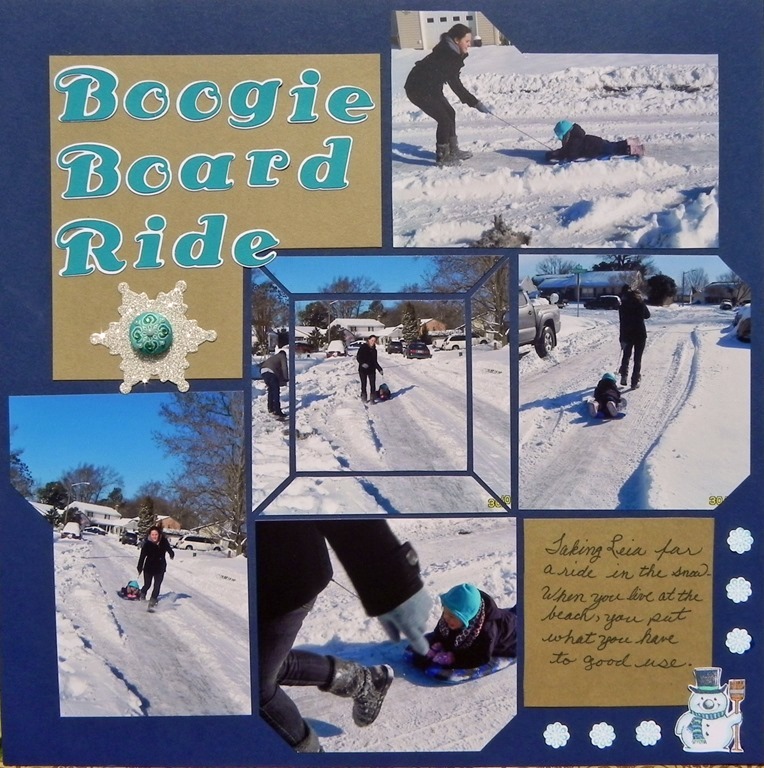 Starting again, I thought I’d share the latest scrapbook pages done for challenges at Splitcoast Stampers for the Virtual Scrapbook Night during National Scrapbook month. 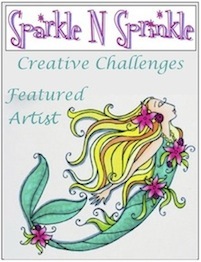 Now that it was last month (May), I have probably made all the pages I am going to do for those challenges. Having my Tiny Tot here was a blessing but it was nearly impossible to get any crafting done. With my photos being paper instead of digital, the size is quite off, but I tried to follow her layout idea and I even used close colors. The stamps I used are from Fun Stampers Journey, TH, and Stampin’ Up! Notice that I used starfish for Wendy’s stars? The challenge for this page of Tiny Tot’s mother in high school was to create using school colors. I used a Lea France stencil and put this together quick and easy, so fun. I had to use ric-rac, washi tape too. The stamped cheerleader is in a set from Stampin’ Up!. I heat embossed the “It’s a Cheer Thing”. The colors are blue, green and white for the school. I have a serious problem seeing colors at night in my dining room, so the background card stock isn’t as blue as first thought. Letters from Cricut. Very fun to research for the challenge on the emotion of color, I found out Goethe did something of interest. I printed out a part of his article on yellow paper, cut the letters from Cricut Hello Kitty cartridge, and told the story of how Leia thinks the DD is much better here. Her grandma and I make it a celebration, that’s why! Now that she has been swished away by her parents, I shall begin to scrap some of the many photos I took of her this past month! While rummaging through my scrap bin searching for patterns to make this sketch from the Retro Sketches Blog, I couldn’t decide which of the two sets of papers, so I made 2. I kept with the same layout, changing up very little. Mostly I changed how I did the floss and what bling I added. I swear I spend most of my time looking for product when I should be working on the card. I couldn’t find my bag of sequins, then I couldn’t find the orange. 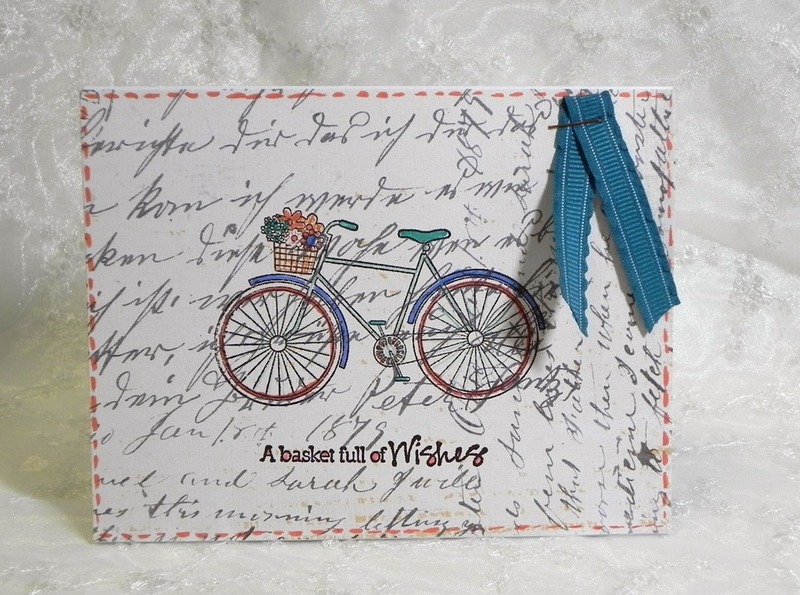 The embossing folder is by Paper Studio, which I distressed with a light sanding to bring out the pattern. The tag die cut is Tim Holtz, the bird and flower punches are Stampin’ Up!, and the sentiment is a Spellbinders Nestabilities. The two stamp sets are from SU: Language of Friendship and Whimsical Words. 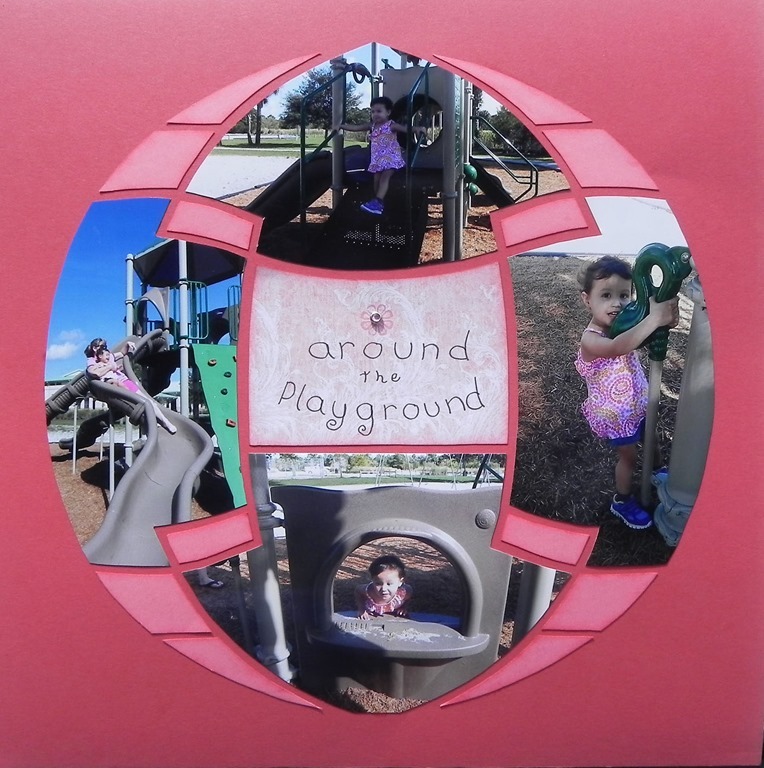 Here, I have used a Stampin’ Up! embossing folder and the jewels are from Queen & Co.
1. 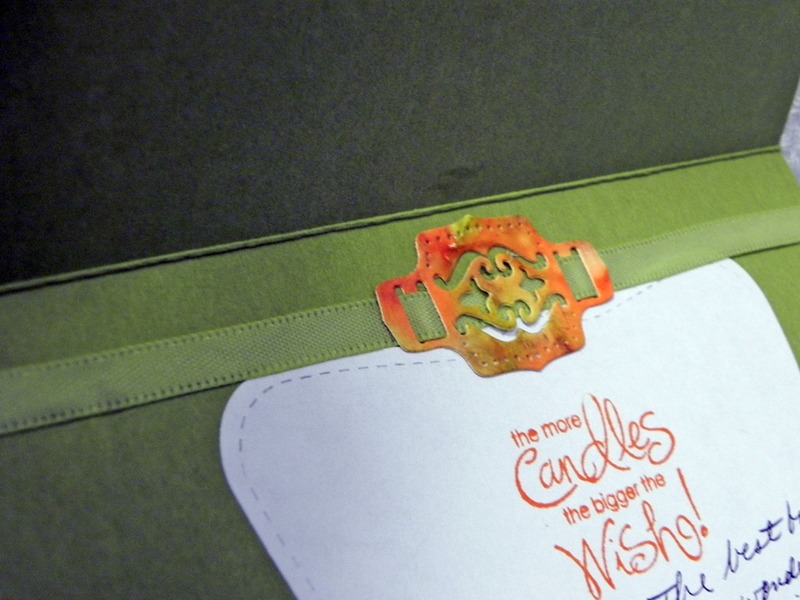 Cut it up – use a die and embossing. 2. Tues. Throwdown – use facets. I’ve had a busy last few days since taking over as the volunteer church secretary. Not only being new to the office, we are getting a new interim pastor since we have been without one for several months, having various ones filling in. It’s going to be good, though. I’m not complaining. However, I needed to play a little. I brought out a pad of “Fancy Pants” paper to see what might inspire me. I know we needed more “Thinking of You” cards for the Card Ministry so that was the first one I made. 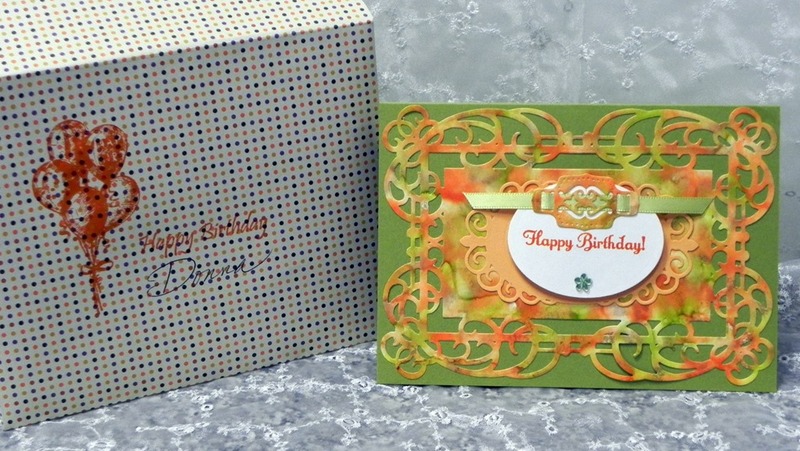 It doesn’t get any easier than this – two pieces of patterned paper, stamp right on the top layer. Sentiment is Stampin’ Up. Makes a good card for a guy and it is nice and flat to mail. This one, a single layer of “Fancy Pants” patterned paper on a white card, was stamped and doodled on. I stapled a ribbon piece on it, colored the image with SU markers and called it done. It is for a woman at church who is having some major issues and I want to let her know I am wishing her well. I completed this one before but couldn’t post it until after it was delivered. It is for my good friend and I know she looks at my blog so I waited. I used alcohol inks on glossy cs, cut out with a Spellbinders die, made the envelope from the punch board she gave me. I used a SU stamp on the card. The envelope was stamped with Fun Stampers Journey stamps. To the right I have a photo of the way I embellished the inside with a die, a duplicate to the one on the front, each with a green ribbon laced through. The card is 5×7 inches. I feel better now. It’s nice to play and let your creativity go. Simple, but rewarding! This first page is of photos from a couple of years ago of Kara taking Leia to Ocean Breeze. Kristy took the photos. It is basic in design, a copy of a layout that is currently on the cover of the stencil packaging. It’s also a quick page thanks to the stencil. 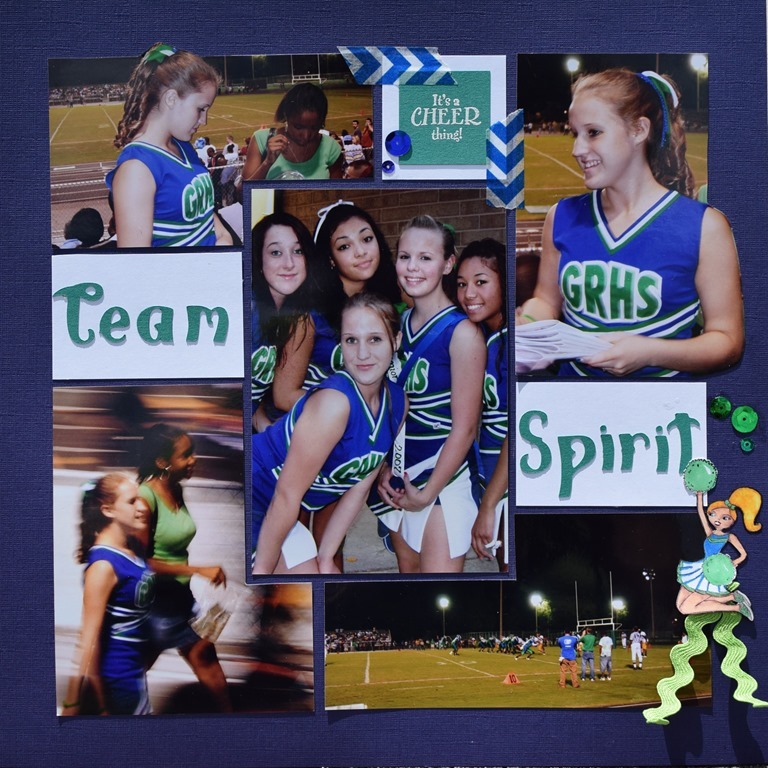 Using these Lea France stencils makes it easy to create visually interesting pages of multiple photos. 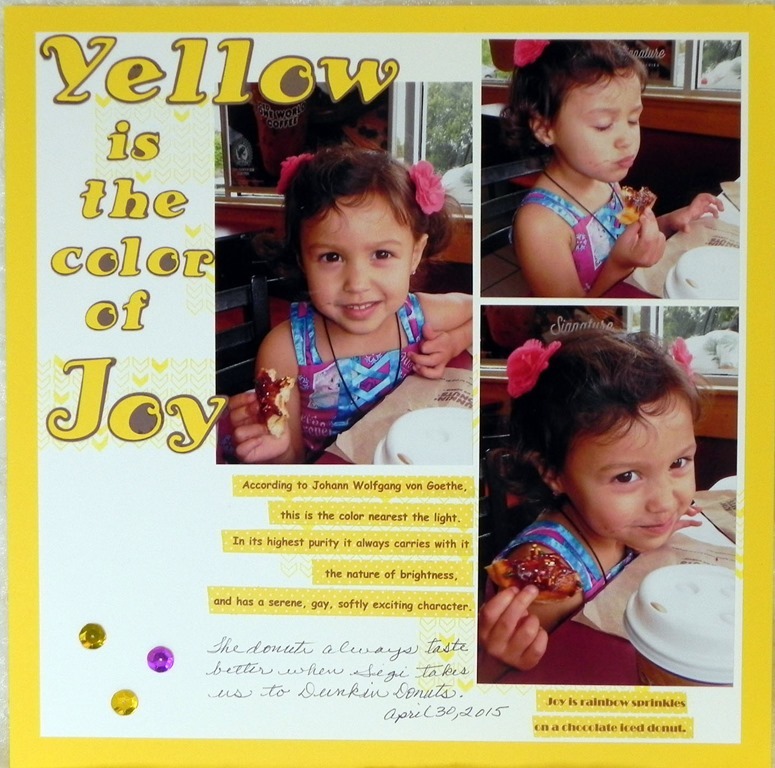 I added the bright pops of color to bring out the fun of the photos and clear buttons for embellishments. Here I have used the Honeycomb Lea France stencil. My second page is made with photos from January of this year when Leia was here for a month. I love the cool effect of this stencil, Magical Sphere from Lea France. I used SU’s Rose Red and Pretty in Pink for the solids, the center piece is a scrap of patterned paper from K&Co. I like that I used the darker shade in the background, seems to make the sphere pop better. I hand printed the letters and added a tiny SU rhinestone brad. The layout was drawn by the talented owner of Lea France herself, I just love the exciting look and yet it was quick and easy. I just needed the 4 photos – two tall and two wide. 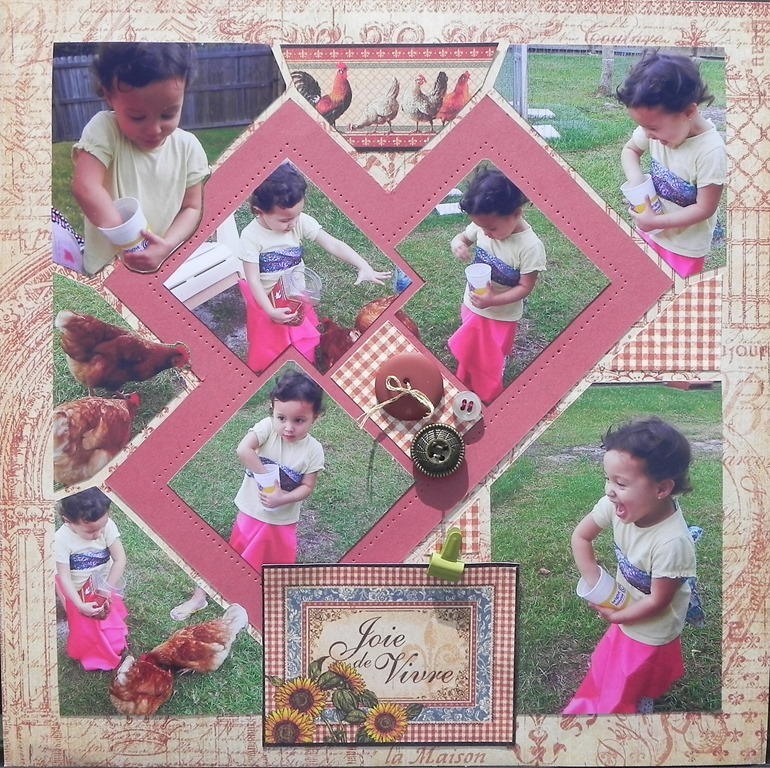 I decided to use photos from January of Tiny Tot feeding the chickens, something she so delighted in doing, using the challenge from Splitcoast stampers Stash Busters June week 3 elements which are: stencil, paper piercing, 3 button, floss, and something 3-D. 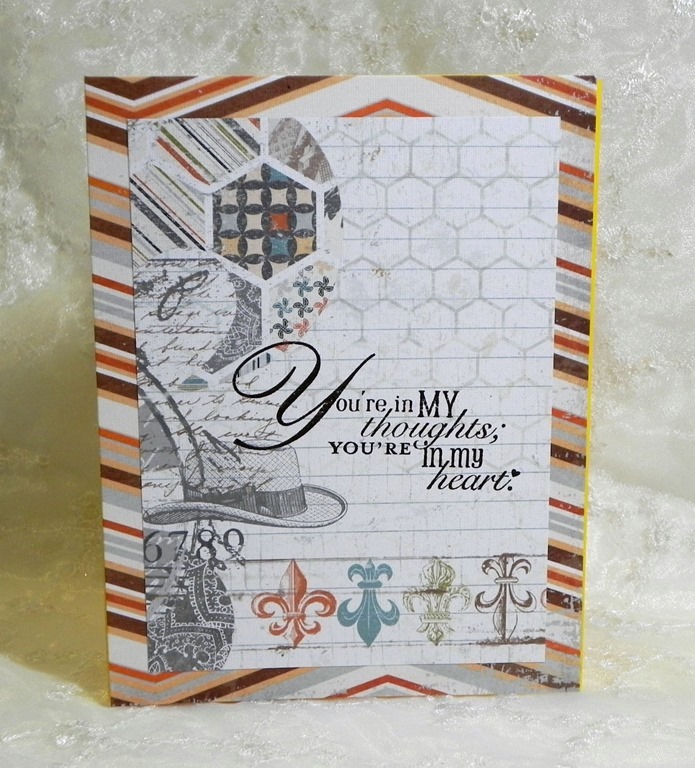 The patterned paper is from Graphic 45 French Country collection. 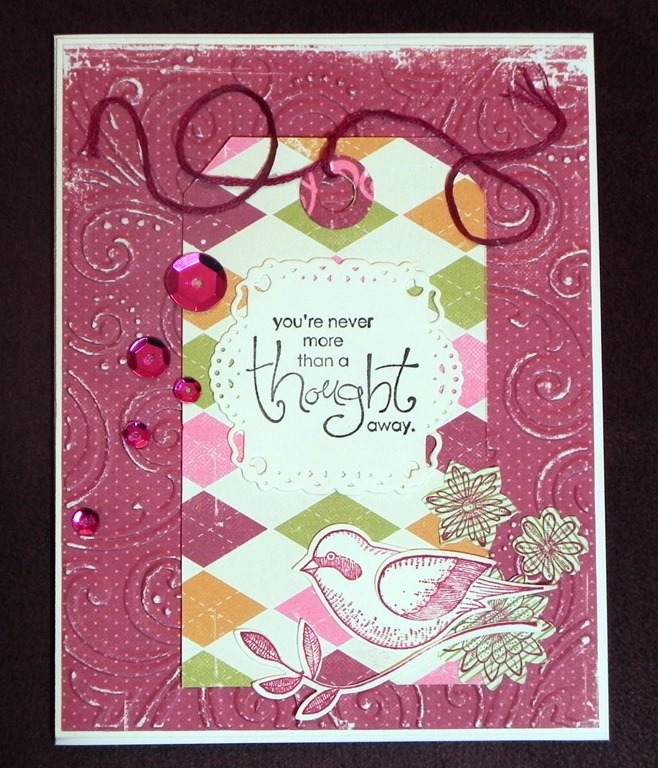 The solid card stock is Cranberry Crisp from years ago, was an In Color at Stampin’ Up!. 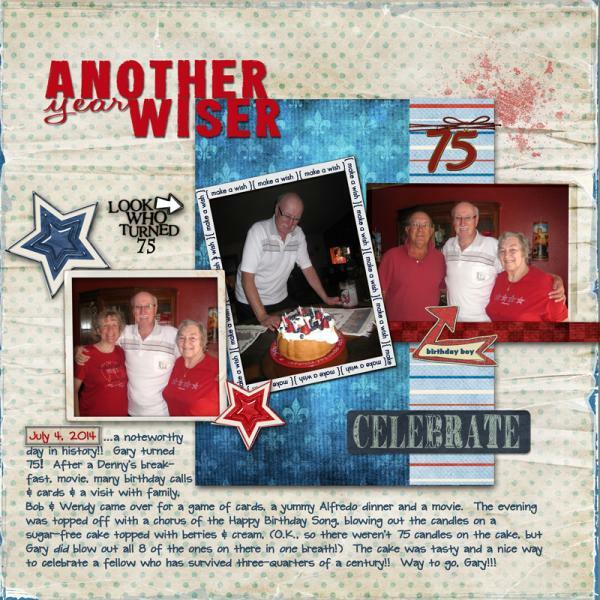 This page was created with the Lea France Card Tricks stencil. 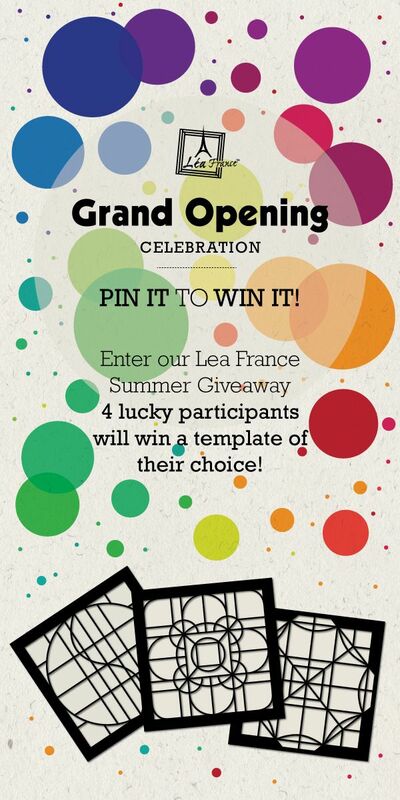 Check out Lea France on Pinterest for a chance to win a stencil. 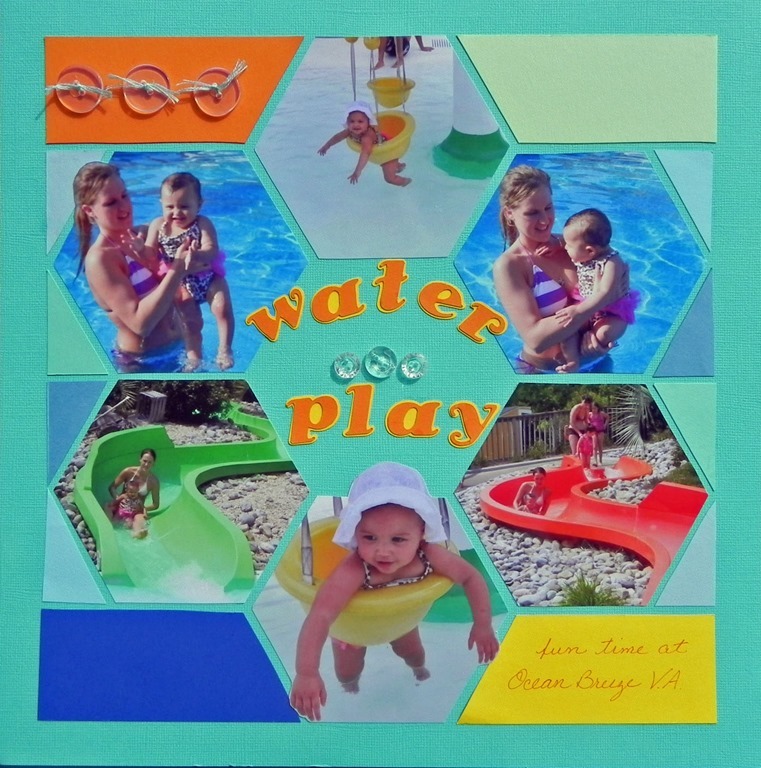 For this layout of Kara pulling Tiny Tot on a boogie board I used the Lea France Stencil from Lea France. The card stock is by Stampin’ Up! The font was cut with the Hello Kitty cartridge with Cricut. The big snowflake was cut with a SU die using silver glitter paper, a added a K&Co brad. The snowman is a stamp by All Night Media colored with Copics, not well I realize now that Kristy has become so good at coloring. The little snowflakes were stamped (SU) and punched (SU). By using the stencil I was able to finish this page in no time and still have an interesting layout. Do check out the give away Lea France is having. Your chance to win awaits! Check it out on Pinterest. Look through my blog to see more of the layouts I’ve done, then visit Pinterest and become inspired to scrap with these stencils too.